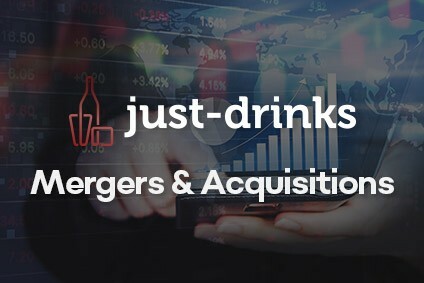 Here, just-drinks consolidates the M&A activity in the global drinks industry during February, a month that saw PepsiCo buy in to CytoSport, Constellation add to its spirits stable and Treasury Wine Estates flash its wallet in the direction of France. Scottish brewer and distiller Eden Mill has bought a brewery across the border in England, as the company aims to expand beyond its domestic market. At the start of the month, Eden Mill said it has acquired Cumbria's Eden River Brewery, allowing the group to bottle and can products in the north of England. California-based Sierra Nevada Brewing Co has agreed to purchase its first brewery. The company will acquire 100% of San Francisco brewer Sufferfest Beer Co. Sufferfest, which was founded in 2016, is known for its gluten-removed line of beers like its 95-calorie Kolsch brewed with bee pollen and its FKT (Fastest Known Time) Pale Ale brewed with salt and blackcurrant. Anheuser-Busch InBev's incubator arm has acquired the remaining share of beer ratings website RateBeer. In a forum post on the RateBeer site, founder Joe Tucker shared the news that ZX Ventures had taken full control of the company. Tucker said he will continue in his role of global community manager, "helping guide the site". Back in 2017, the US craft beer industry was figuring out the best way to get its hands on more money. Many independents had reached a ceiling in terms of where they could go on their own, and breweries were looking for alternative funding. The question at the time was, who was best to go to with the begging bowl in hand? 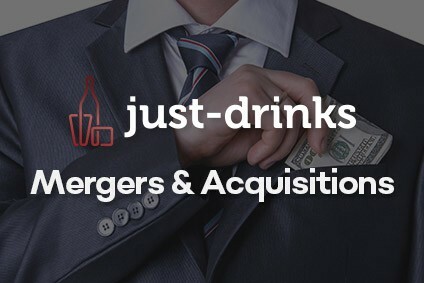 The choice appeared to boil down to either existing big brewers such as Heineken or Anheuser-Busch InBev, or private equity. Now there is a third option - cannabis. Cott Corp has completed its exit from the soft drinks category, selling off its soft drink concentrate production business in the US to Refresco. The deal, which also includes the Royal Crown Cola business RCI International, is worth US$50m. Refresco has in turn agreed to sell RCI International to an Asia-based company called RC Global Beverages. PepsiCo is to buy Hormel Foods' CytoSport business, which owns the Muscle Milk range of RTD protein shakes. The deal with PepsiCo, for an undisclosed sum, is expected to complete within the next two months. The two companies already have a distribution agreement for CytoSport and the Muscle Milk brand. 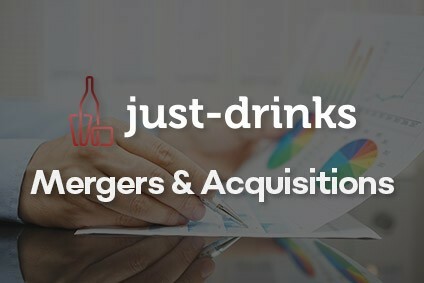 Indian PepsiCo bottler Varun Beverages has acquired additional PepsiCo territory in the south and west of the country. The firm has completed the purchase of 'sub-territories' from SMV Group. The deal sees Varun handle PepsiCo's drinks portfolio in several districts in both Karnataka and Maharashtra. Constellation Brands has acquired a minority stake in a New York-based craft distiller. The company has invested in Black Button Distilling through its venture capital unit. The venture arm aims to identify and invest in brands with "strong scalability" and "consumer appeal". Treasury Wine Estates is in negotiations to purchase wine production and supply facilities in France, as the group looks to expand sourcing capabilities to capitalise on the Chinese market. CEO Michael Clarke said the company will use the acquisition to boost its French wine portfolio in China. More specific details behind the negotiations were not disclosed. Domaines Paul Mas had added a Languedoc estate to its portfolio. The French wine company has purchased Domaine Les Verrières, in the Grés de Montpellier appellation. The 22-hectare estate is planted mainly with Syrah as well as Grenache Noir and Carignan. Louis Roederer has announced the purchase of Merry Edwards Winery, in the Russian River Valley region of northern California. The Champagne house confirmed that the winery has been bought from its namesake, Merry Edwards, who is one of the first women to make a career in wine production in the US. Financial details were not disclosed. The wine category has long had a reputation for being too slow to react to changing trends, both among consumers and within the industry. Chris Losh highlights a bold move to right these wrongs, from - of all places - France.